Doing push-ups can help strengthen the biceps. 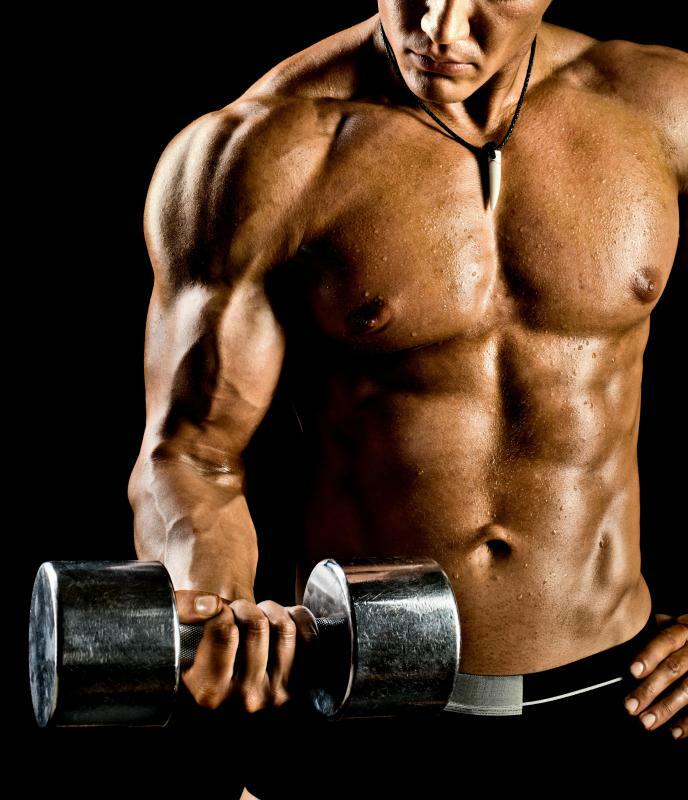 Bicep curls with dumbbells are best performed with slow and controlled movements. No bicep workouts would be complete without a standing barbell curl. Dumbbell curls, seated or standing, are an effective way to build stronger biceps. Bicep workouts can help build strength throughout the biceps, which can in turn help strengthen the shoulders and back. Good bicep workouts take advantage of free weights and other weight machines, and most workouts are repetitive in nature; one should be prepared to do several sets of several repetitions to build strong biceps. 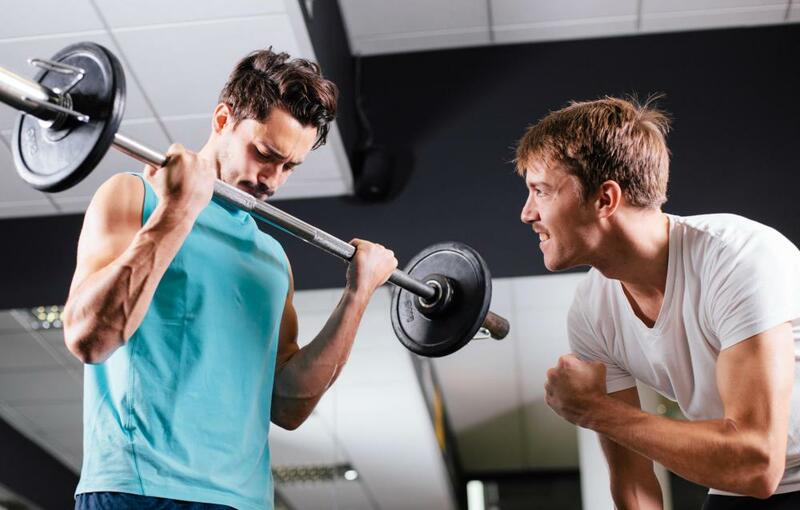 Some exercises involve holding weights for a significant amount of time, so a spotter — someone standing by in case the weights are dropped suddenly or the lifter loses balance — should be nearby for safety. No bicep workouts would be complete without a standing barbell curl. This is the most popular bicep exercise because it works both biceps at the same time and significant amounts of weight can be added to the barbell to add more resistance for tougher workouts. To begin, the lifter should stand with his or her feet spread at about shoulder-width. The barbell should be on the ground at this point; bend at the knees to pick up the barbell. Let it hang in both hands with the arms dangling, the elbows slightly bent. Palms should be facing outward. Then, lift the barbell and bend the arms at the elbow. Bring the weights to about chest height, then release. Repeat this motion several times. Another staple of bicep workouts is the dumbbell curl. This involves holding a dumbbell in one hand and curling it upward in much the same motion as the standing barbell curl. A popular variation of this exercise is also a staple in bicep workouts: alternating dumbbell curls. In this exercise, hold one dumbbell in each hand. Curl one dumbbell upward, then release back down. Repeat the same motion with the other arm. Do several repetitions with each arm. As strength increases, the amount of weight for each dumbbell should increase for an added strength workout. A great but difficult exercise to add to any bicep workouts is a set of close-grip chin-ups. A chin-up bar will be necessary to do this exercise. Standing below the chin-up bar, grasp the bar with both hands. The palms should be facing inward toward the body. Hands should be placed at about shoulder width for beginners; for more advanced users, the hands should be about four to six inches (10-15cm) apart. Pull up on the bar until the chin rises above the bar. When lifting, lift the feet off the ground and cross them. When the body is lowered from this position, the feet should not touch the ground again. Repeat this motion several times, then rest. What are the Most Common Causes of Bicep Pain? 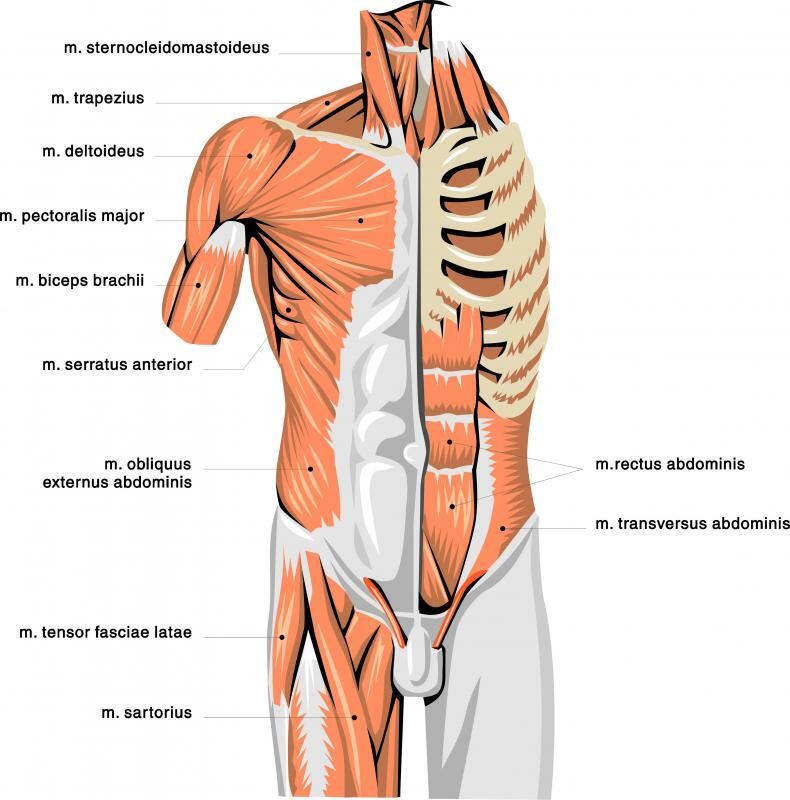 What are the Most Common Causes of a Torn Bicep?